Follicular Unit Extraction (FUE) is a method of obtaining donor hair for Follicular Unit Transplantation (FUT) where individual follicular units are harvested directly from the donor area, without the need for a linear incision. With the FUE technique an .8mm to 1 mm punch is used to make a small circular incision in the skin around the upper part of the follicular unit, which is then extracted directly from the scalp. Follicular Unit Transplantation (FUT) and Follicular Unit Extraction (FUE) are sometimes mistakenly viewed as being two different procedures. In fact, FUE is a sub-type FUT, where the follicular units are extracted directly from the scalp rather than being microscopically dissected from a strip that has already been removed. In Follicular Unit Transplantation, individual follicular units can be obtained in one of two ways; either through single strip harvesting and stereomicroscopic dissection, or through FUE. Therefore, when comparisons are made between FUT and FUE, what is really being compared is the way the follicular grafts are obtained (i.e. strip harvesting and dissection vs. direct extraction). The process in the recipient area is the same. The main advantage of FUE is that it does not cause a linear scar. Therefore, it is useful in patients who may, in the future, want to wear their donor area very short (<1cm in length). This advantage was the main reason for the development of the technique. FUE developed as an effort to address scarring in the donor area that occasionally becomes a problem with strip surgery. Usually the scar is fine and easily hidden by the remaining donor hair as long as it is longer than 1 cm. However, occasionally the scar can be wider and harder to hide. When graft sessions started to become larger, the size (width) of the donor strip also became larger in order obtain the increased number of grafts. The larger sessions dramatically improved results in the recipient area, and the field was so excited about the improved results that it was slow to notice an increased incidence of wider scars now appearing in the donor area. In response to this problem, a few physicians began the development of an alternative method of harvesting grafts, Follicular Unit Extraction. By extracting individual grafts with a small micro punch, a linear scar was avoided. Unfortunately, early versions of this technique had their own problems. Extracting each graft was difficult and a high transaction rate and damage to the grafts often occurred. The process was also slow, expensive, and far fewer grafts could be done at one time then with strip harvesting. A final problem was the realization that the potential for visible scarring also occurred, just in a different form. With FUE, scarring consisted of multiple small white dots in the donor area at the sites of each extraction. This was not a linear scar, but it still could be noticed as a spotty look if the hair was cut very short. For this reason, FUE did not find acceptance early on. Another factor that added to the slow acceptance of FUE was the fact that major improvements had occurred in traditional strip harvesting at the same time. Improvements included more accurate ways to predict scalp laxity, exercises to improve scalp laxity, better suturing and stapling techniques, and the development of the trichphytic  closure. With these improvements, most strip surgeries left a minimal scar and, in the majority of cases, the hair could be worn as short as 1 cm without the scar being visible. The instrumentation and technique of FUE has improved dramatically over the last five years. Among the advancements are the use of smaller punches that decreased the incidence of the spotty scarring, limited depth scoring that reduced transaction, motorized punches that make it easier to score the skin, and a better understanding of the amount of extractions that can occur per area before scarring occurs. The result of these improvements have made it possible to perform FUE much more consistently with minimal damage to the grafts, more grafts per procedure, and less scarring. We now have two very useful and powerful tools for removing grafts from the donor area, strip harvesting and FUE. Both work quite well and both have their advantages and disadvantages. At SMG, we feel it's good to be skilled in both techniques and to use the tool that is most appropriate for each patient. What Type of Patients Benefit from FUE? Patients who need to camouflage a widened linear donor scar from a prior hair transplant procedure. FUE s main limitation, when compared to FUT, is that it is less efficient in harvesting hair from the mid-portion of the permanent zone. In FUT, the strip is taken from the optimal (central) part of the donor region so all the hair in this area can be removed and transplanted. After the strip is removed, the wound edges are sewn together. In FUE, hair is extracted but the intervening bald skin between the follicular units is not removed. Therefore, the surgeon must leave enough hair in that area to cover the remaining donor scalp. Consequently, there is considerably less total donor hair available, perhaps half as much as with FUT. This represents a significant disadvantage, since a limited donor supply is the main factor that prevents a complete hair restoration in many patients. To compensate for the inability to harvest all the hair from the permanent zone, the surgeon may eventually harvest hair from the upper and lower margins of the original donor area and risk the hair being of poor quality or being non-permanent. In Follicular Unit Extraction the wounds, although small, are left open to heal, leaving hundreds to thousands of tiny scars. Although not readily apparent, this scarring distorts adjacent follicular units and makes subsequent sessions more difficult. This is an additional factor that limits the available donor supply. Although new techniques and instrumentation have significantly decreased the amount of transection and damage during the extraction, the inability to fully access the mid-portion of the permanent zone in a hair transplant procedure significantly limits the total amount of hair that can be accessed through FUE, rendering it a far less robust procedure than FUT for moderate to advanced balding. FUE is also more labor intensive, time consuming and expensive because far fewer grafts can be obtained in a single session when compared to traditional strip harvesting. In addition, not all patients are candidates for the procedure. Patients differ significantly with respect to the ease in which folliular units can be removed from the scalp. In some patients, the grafts can be extracted with little to no transaction (damage due to cut hair follicles). In other cases, extraction produces unacceptable levels of transection. In the past few years, improved techniques and instrumentation have improved the ability to extract grafts more easily with little to no harm. It is important to either test patients before the procedure or have an alternative plan if, during the procedure, it turns out that the patient is not a good candidate. Interesting writeup, although we certainly do not agree with some of the point in the pro and contra list. Let me add this however. 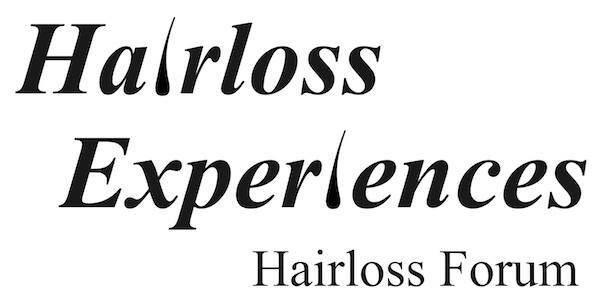 A vast number of our patients are experiencing hairloss to a greater or lesser degree, but do not in any way want to resort to FUT as a mean to solve their problem. THese patients would not go for surgical hair restoration at all if FUT was the only option available. FUE certainly makes hair restoration a lot more accessible to a large group of people that seek less invasive hair surgery. Its good to read and educate yourself on different opinions/approahes various doctors utilise. Thanks for posting Dr Shapiro. Dr. Shapiro wrote the article specifically for our new website. It's fair to say SMG's experience with FUE is not the same as Prohair's or any other clinic for that matter. It stands to reason that there will be difference of opinions. You have your opinions and concerns based on your own experience and dealings with number of patients turning to FUE as they had bad experiences with strip surgeries. But we've seen many patients who had FUE sessions with less than optimal results. They had many white dotting at the donor region with poor growth on top so they turned to SMG for strip procedure to achieve their goal in hair restoration. All in all, there are good and bad results with FUE and/or Strip procedures. The responsible thing for any clinic providing either or both methods is to achieve the best results possible as we both know poor work by Strip or FUE can be detrimental to the patients. On a side note, you've always been open and willing to share your technique - we'd like to say thanks and we appreciate it. I particulary like this thread as it outlines the advantages and disadvantages of FUE and the well thought out approach SMG are utilising.